I look forward to presenting my latest research at the International Studies Association’s Annual Convention 2017 in Baltimore this week. Storytelling transcends cultures. It can speak to global audiences, change public attitudes, serve as policy evidence, and challenge dominant media narratives on sensitive social issues. Thus, advocacy organizations and activist networks increasingly use social media to crowd-source, co-create, and distribute personal stories, which originate in the private sphere and become public narratives online. Yet, story-based advocacy is also controversial as sharing the intimate accounts of groups that have been discriminated against may foster further stigmatization. Communication scholars have yet to discuss the implications of this global advocacy trend for digital citizenship. Whose voices do we really hear in online stories? How are they collected, edited, and re-mediated? Ultimately, who is empowered by this approach? To address these questions, this paper compares the use of personal stories in online disability rights campaigns in the UK and the United States. By combining the analysis of blog posts and YouTube videos featuring stories of disability with interviews with leading advocates in both countries, different digital storytelling practices are revealed. In particular, a trade-off between maintaining spontaneity and editing personal accounts to achieve policy effectiveness is identified and discussed in the context of different political cultures, media systems, ethical principles, and policy-making traditions. 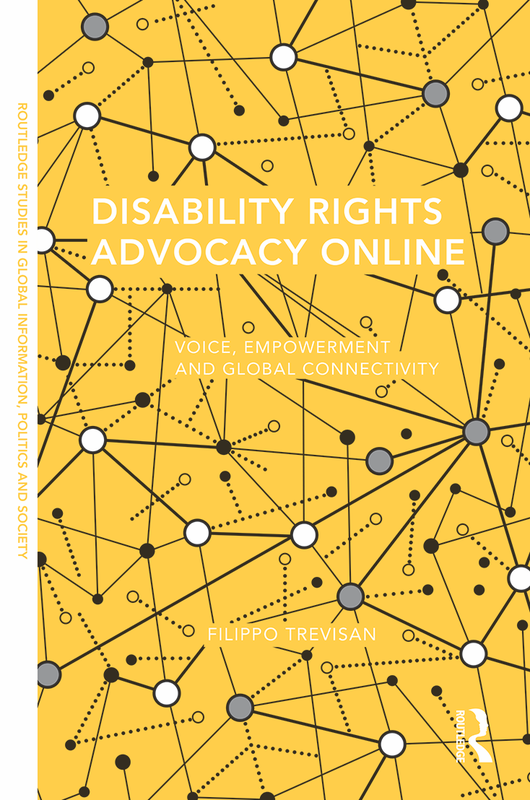 On February 21st, I also discussed my recent book “Disability Rights Advocacy Online: Voice, Empowerment and Global Connectivity” (Routledge 2016) as part of the ISA working group on Accelerating Change in Global Governance: Enhancing the Participation of Excluded and Marginalized Voices Through Information and Communication Technology. My colleague Paul Reilly (Media and Communication, University of Leicester) and I will present a joint paper at the ‘Protest Participation in Variable Communication Ecologies‘ conference, which is organised by the journal Information, Communication & Society together with the University of Sassari and will take place in Alghero, Italy between 24-26 June 2015. This event will focus on advances in contemporary protest and more broad activist repertoires at a time in which ‘established’ and ’emerging’ forms of mass media increasingly interact, providing a range of actors with enhanced opportunities to influence public decision-making, but also challenging their traditional tactics. Our contribution will examine the ethical challenges involved in carrying out research between ‘streets’ and ‘screens’ in unstable and potentially risky political contexts, using examples drawn from Paul’s research on the use of Facebook during the 2013 Union Flag protests in Belfast, Northern Ireland.